Ensure your plants are kept healthy by hiring garden maintenance specialist from us in Deal CT14. Pick us because we offer reasonable, competitive prices, as well as wide ranging and all-inclusive services, that include garden maintenance and much more. You won’t need to provide any equipment whatsoever, just make your booking and we’ll come ready for the task at hand. You don’t even need to be present at your property during the job. Give us detailed instructions and access to your garden and we can do everything without you there – your convenience and satisfaction are our priorities. Reserve your appointment at any time of the day or night – our advisers work around the clock to help you. Gutter Cleaning - to keep your property safe from potential water damage caused by leaking drainage systems, this service is the one you need. Patio Cleaning - rely on the highest quality modern pressure washing equipment for cleaning driveways, pathways, patios, and more besides. 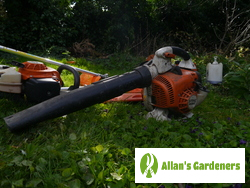 Garden Maintenance - ideal for freeing up time to spend on things you'd rather be doing, we offer help with any maintenance activities your garden needs. Garden Design - plan out a new improvement with the designers, or level land, install features, and more. No-obligation quotes provided upfront. Tree Surgery - experienced, qualified tree surgeons provide our tree care services. Schedule yours for emergency felling as well as careful trimming and pruning. Lawn Care - keep your grass growing green and healthy with the expertise of the team on your side. We offer aeration and scarification as well as lawn mowing. 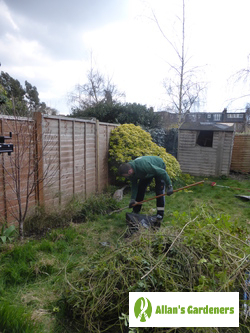 When you choose us as your gardening company we’ll send you a highly skilled gardener who has undergone in-depth training. Equipped with the full range of tools needed, they’ll carry out their work to the highest standards and leave you with nothing but great results. We’ll always try and ensure that you’re sent the same staff member each time you book where possible, so that they know exactly how you like things done. And as all of our garden care services are covered by comprehensive insurance, you can sit back and relax while we get the job done. You can get professional gardening and other services from us in more than just Deal. Find experts in… Dover, Folkestone, Hythe, Whitstable, Herne Bay. Gutter cleaning never crossed my mind before, but after years of neglect and a little bit of flooding, we decided it was time to hire a proper service. I'd highly recommend this company to anyone in a similar situation. I love entertaining outdoors in the summer, but that first big tidy up is always a killer. Allan's services make it easy every year. A reliable and affordable way to get professional garden landscaping without the cost.